A This User is a Loremaster and Proud. This user has been on UESPWiki for 4 years and 21 days. Note: doesn't mean I'm new to TES though. This user is a House Father in House Hlaalu. 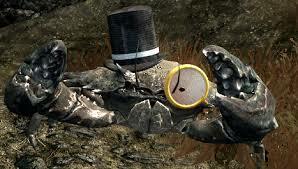 This user is Undisputed King of Gentleman Mudcrabs. This user is a fan of Grunge music, especially Nirvana. This user is stuck for ideas on how to fill up more space with textboxes. This user scored 2255 points on the UESPholic Test. Legoless-Duke of Gentleman Mudcrabs for Ireland and surrounding areas. Shuryard-Grand Archduchess of Gentleman Mudcrabs, wielder of Mudcrabsbane. Dave the nord-Moiself, Undisputed king of Gentleman Mudcrabs alike in the nirn and time. This page was last modified on 13 April 2015, at 12:40.